Comes in green and blue. The largest peninsula in the Adriatic Sea is Istria - a region tucked away next to Italy and a reminder of old Tuscany. Just south of the Istrian peninsula is the island of Losinj - a treasure that is big on vitality, wellness and discovering ancient greek statues. Explore true Dalmatian laid-back charm in Brac - a unique island that offers everything one needs for an unforgettable holiday in an unspoiled natural enviroment. Omis has it all. Numerous beacherches and bays, rich vegetation, fresh air and crystal blue sea make Omis Riviera the perfect place to ecsape the stress and rush of modern life. Limestone streets, baroque buildings and the endless shimmer of the ocean below makes this ancient town a true pearl of the Adriatic. Hvar, and one of the most famous and visited tourist destinations in Croatia. 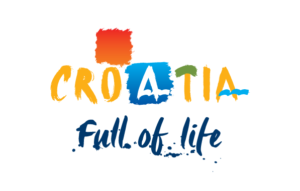 The island is known as the sunniest part of the Croatian coast, which makes it a popular holiday destination not only in the summer, but also in spring and autumn. Crystal clear waters, cozy villages, olive groves, vineyards, fresh food and some of Croatia’s best white wines – you’ll find it all on the island of Korcula in southern Dalmatia. Split is much more than glorious architectural scenery. It is also a venue for excellent gourmet and vine experiences, numerous cultural happenings like film and theatre festivals, exhibitions, excellent museums and concerts.